28 Sept 2014 Update: AirAsiaX has agreed to become a platinum sponsor and official airline. They will contribute 12 return air tickets to Asia and Australia - 8 for the winners, 2 for lucky draws and 2 for contest winners. 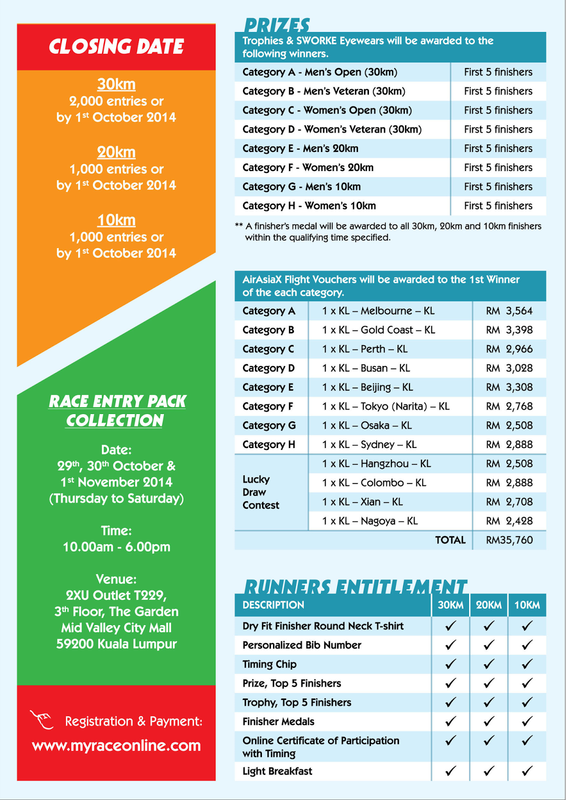 Club members will get a RM10 refund each on their entry fees if they do not want the commemorative gift. The refund will be made at the venue when they collect their race entry pack. 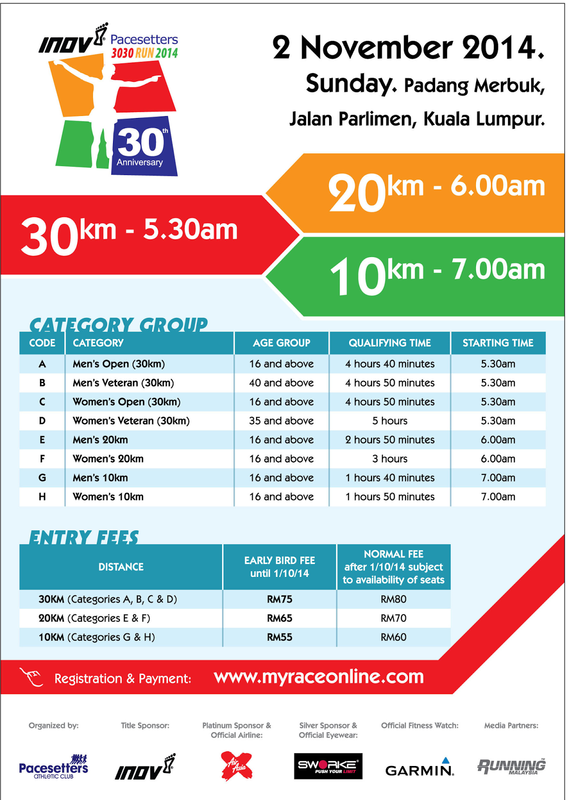 We are proud to announce INOV-8 as the title sponsor for Pacesetters 3030 Run 2014 and Garmin as the Official Fitness Watch. Help the Homeless doggies & kitties! Using Another Person's Bib - Is that OK?